Let these earrings grant your wish for simple elegance and added fashion flair making them the perfect choice for everyday elegance. 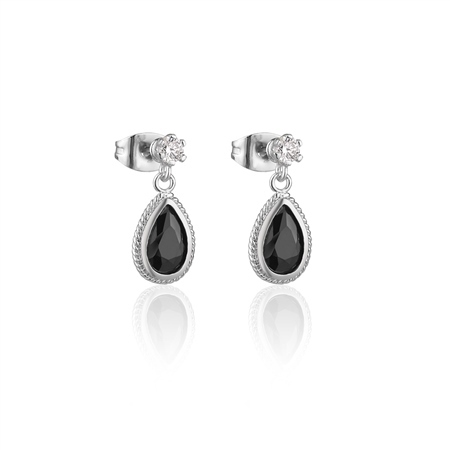 Silver plated stud earrings with a protective anti tarnish layer, clear and black cubic zirconia stone settings, titanium posts, butterfly backs, presented in a Newbridge Silverware gift box. Product dimensions 8mm x 7mm. For hygiene reasons earrings cannot be exchanged.